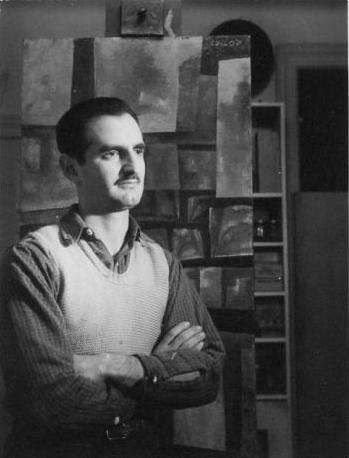 In 1940, Arthur Osver settled in New York's Greenwich Village and went on to teach at the Brooklyn Museum Art School and then Columbia University. He was awarded the Prix de Rome in 1952, and he visited Italy and France a number of times throughout that decade. He also taught at Yale University and Cooper Union in New York in the late 1950s. Osver came to St. Louis, Missouri, in 1960, serving as Professor of Art at Washington University until his retirement in 1981. He was the third high-profile artist attracted to the university by Dean Kenneth Hudson, who also hired Max Beckmann and Philip Guston. Paintings by Osver appear in private collections and museums all over the world. Museum collectors include the Metropolitan Museum of Art, the Museum of Modern Art, the Whitney Museum, and the Art Institute of Chicago. A retrospective exhibition of Osver's work was held at The Saint Louis Art Museum in March 2000. Known for painterly abstractions in glorious colors, Osver's latest body of work includes a new timely element: text from graphics and newsprint. Arthur Osver In 1940, Arthur Osver settled in New York's Greenwich Village and went on to teach at the Brooklyn Museum Art School and then Columbia University. He was awarded the Prix de Rome in 1952, and he visited Italy and France a number of times throughout that decade. He also taught at Yale University and Cooper Union in New York in the late 1950s.